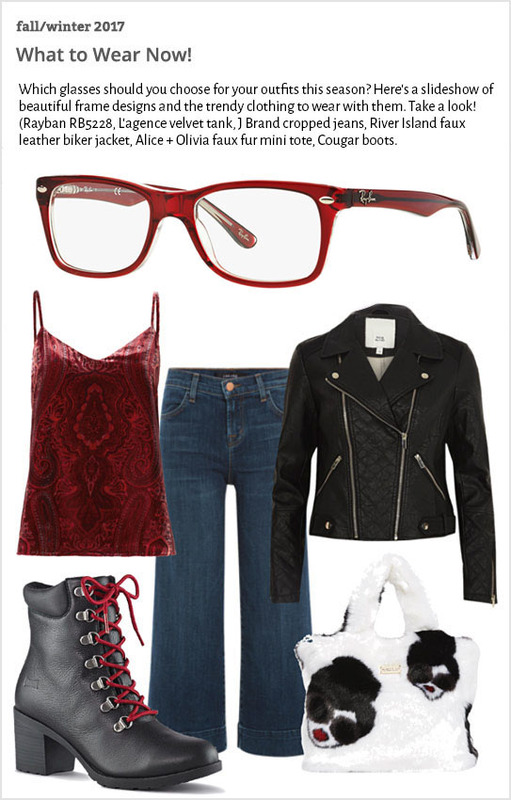 Start your New Year's resolution out by taking care of you and updating your look with the latest fall 2017/2018 fashion and eyewear trends. 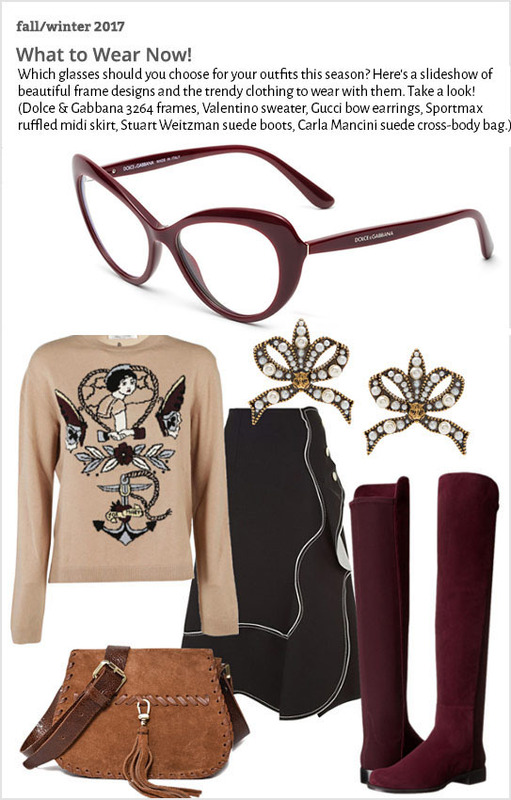 Nowadays women's eyeglasses and frames are available in many shapes, colors and sizes to suit individual tastes. People generally recognize you by your face, the eyeglasses you choose to wear are a very real part of your identity. 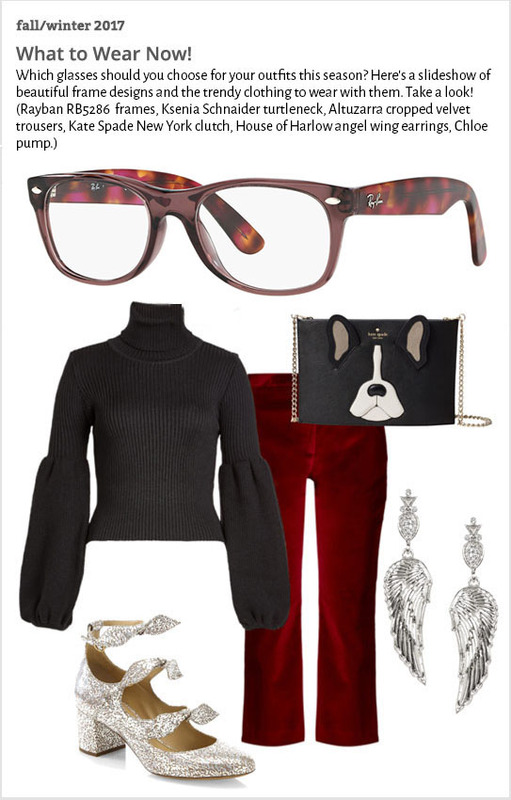 Whether you want to appear sophisticated, fun-loving, youthful, conservative or style-conscious, the right eyewear can help you shape how you are perceived. And if you choose to wear only one pair of eyeglasses for everything you do, that says something about you, too! 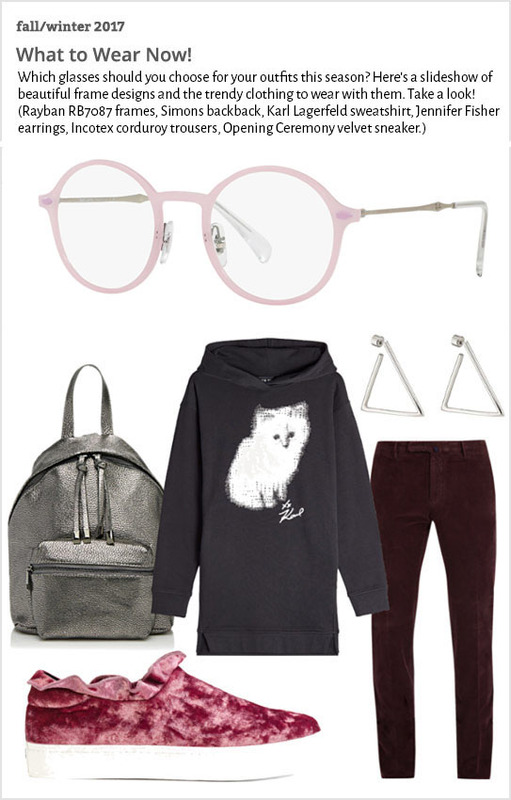 What do you want your glasses to say about you? 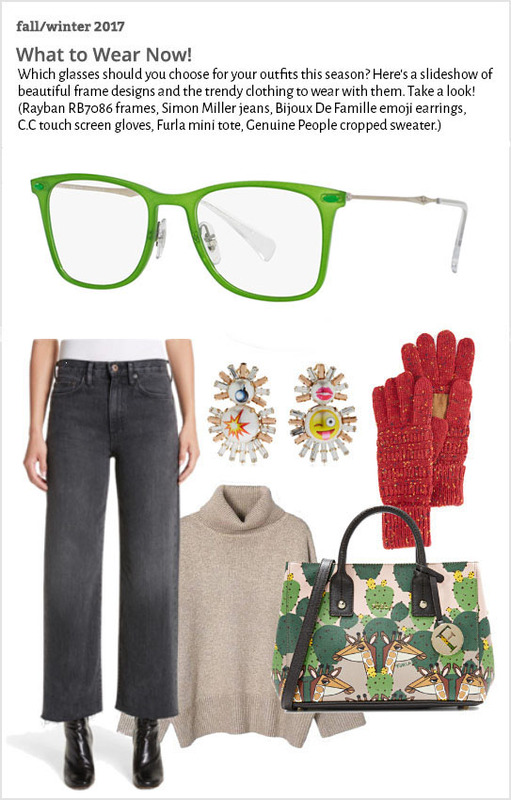 Eyeglasses can help people see the real you, or they can help create the image you want. 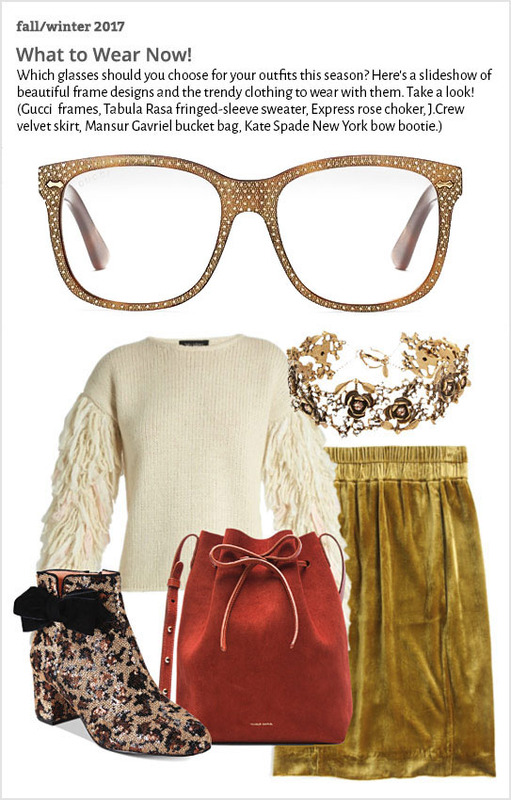 The key is to find the right eyeglass frames to match your personality and lifestyle. For different looks to suit the occasion, most people can benefit from a few pairs of eyeglasses, just as they need more than one pair of shoes. Just like the fact that the same pair of shoes won't take you from a cocktail party to the volleyball court to the beach to the office. Are you a fast-paced businessperson, an active outdoor enthusiast, a busy mom, a retired senior or a student? Are you a creative person, such as an artist or writer? Or, like most people, do you have a lifestyle that encompasses a number of different activities, interests and personality traits? To narrow down your choices, consider what eyewear experts suggest in terms of styling, color, material, and size for various lifestyles. Do you want a frame that's delicate or bold, retro or modern, conservative or "out there"? Are there any current fashion trends you really like? 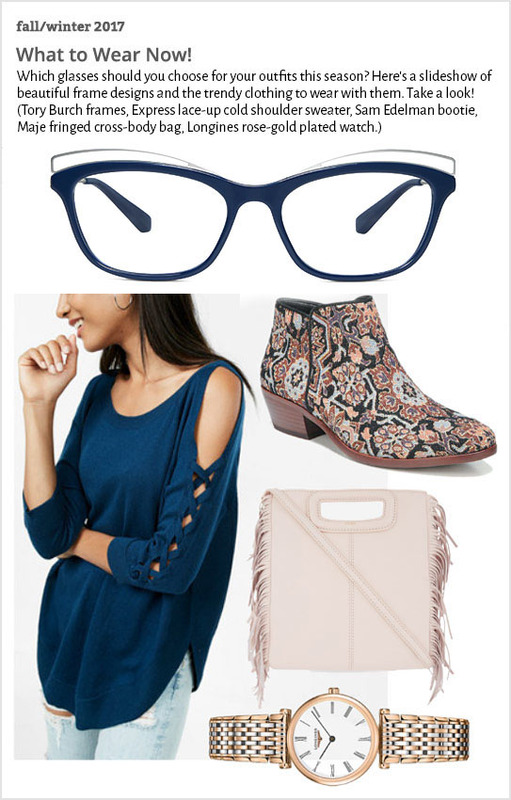 Are you going to wear this frame all the time, mainly at work or just when you go out on the town? Do you want a designer label? What colors are you are drawn to, what are your hair and skin colors, and what are the main colors in your wardrobe? 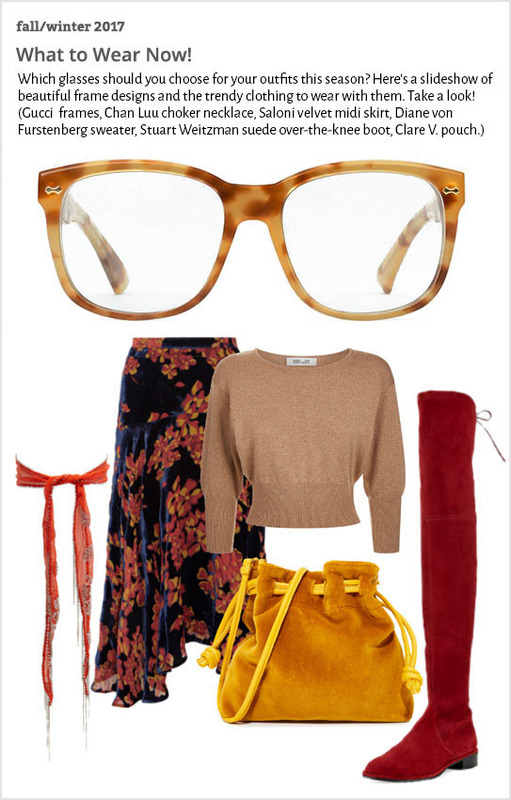 What do you like or not like about your current eyeglasses? 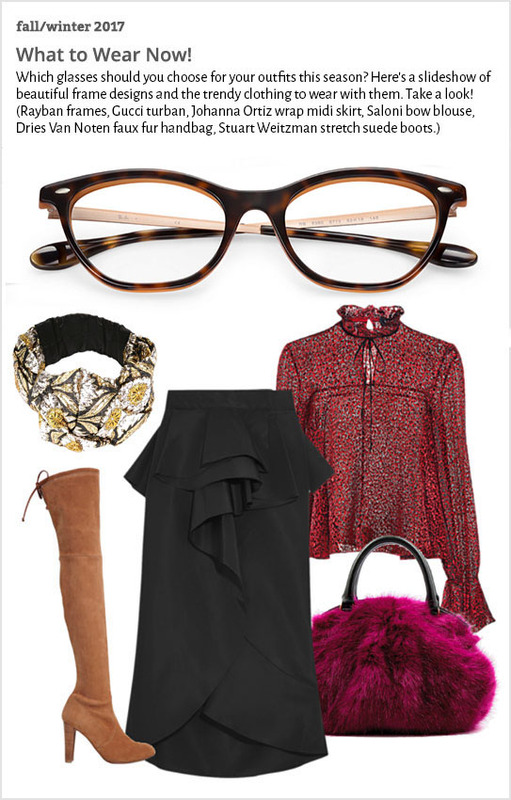 If you love fashion and follow the latest trends here are some fall/winter 2017/2018 fashion trends for both your wardrobe and your eyewear. 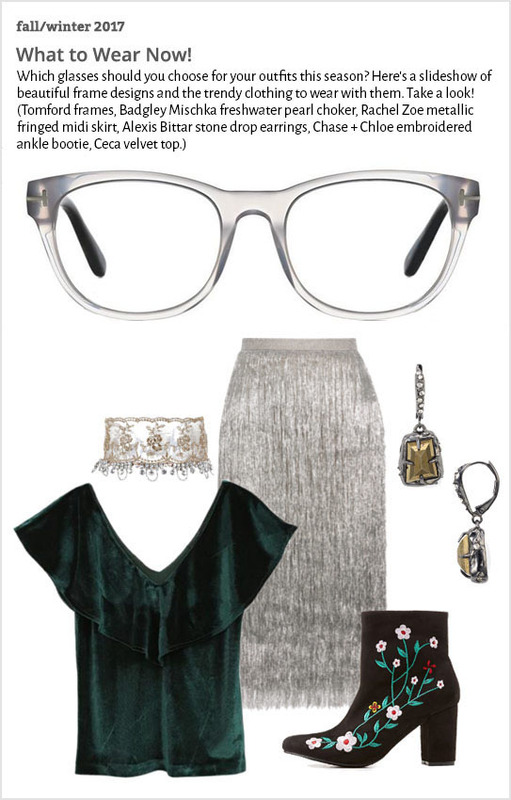 All the styles shown below are available at Crescent Heights Optometry. 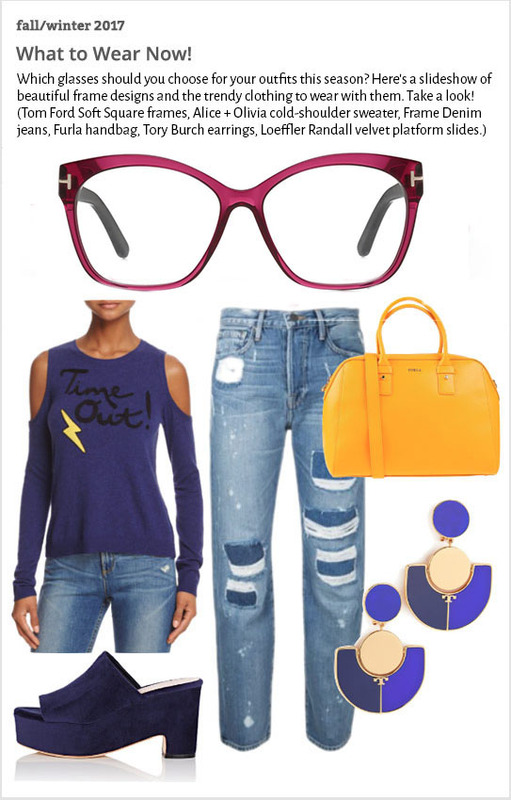 Check out some of our other designer and trendy eyewear. Let our eyecare team help you find the right pair/s of eyeglasses for you. You should schedule a contact lens exam at least once a year to make sure your eyes are continuing to tolerate contact lens wear and show no signs of ill effects from the lenses. Please fill out the form and we will call you shortly to confirm your order.